The first presentation pack sold by the General Post Office was for the 1964 Shakespeare Festival stamps issued on 23 April 1964, but not until 1976 was a pack produced for every special stamp issue. After 50 years, the first catalogue devoted solely to packs has now been published, with a wealth of information on the history and development of the packs, and it reveals that there is far more to the subject than many people realise. 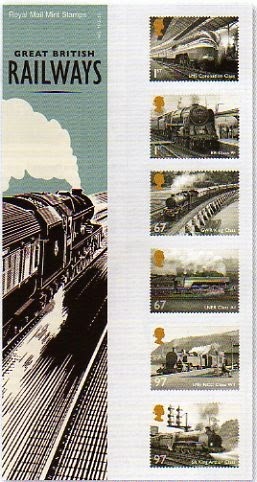 As well as the more obvious Commemorative and Definitive packs, and those for Greetings Stamps, Postage Dues, and Post and Go (Faststamps), the catalogue also covers Year Packs (and Books), privately produced packs and forerunners. The earliest forerunners were simple window envelopes containing Castles High Values. Sold in 1960 at either £1.18s.0d or US$6.50, these are now catalogued at £1,750 or £3,000. The stamps in these packs were also available, of course, separately from other sources - post offices and later the Philatelic Bureau. 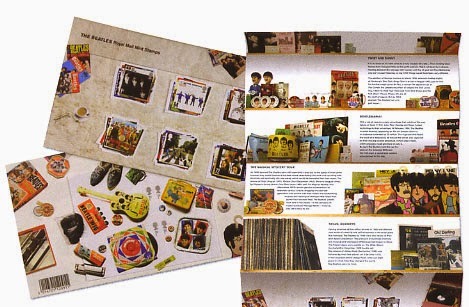 But the book also includes some products which exist only in that form, for instance packs produced in recent years by Royal Mail containing Facsimiles of classic stamps, the 1d black, 1d red, PUC £1 etc. Whilst the catalogue is comprehensive, the editors make no claim that it is complete. Some printing varieties are included but there may be more. 'Format packs' are included - these are retail display packs containing (for example, cylinder blocks or gutter pairs of special issues), but I understand that some also exist for definitives. The production of any catalogue or handbook is usually the impetus for collectors and dealers to identify errors and omissions which often results in an improved second edition. Produced by the Packs and Cards company, and priced at £24.95 the catalogue is available from all good stamp dealers, bookshops and direct from www.PacksAndCards.com [ISBN 978-099286750-8]. To keep packs safe, it is advisable to store them in strong boxes or in specifically designed presentation pack albums. And therein lies a problem, as far as I am concerned. In a stamp album, the stamps are displayed and written up (to a greater or lesser extent) and everything can be seen. There is a great deal of well illustrated information included in presentation packs, but it is all hidden if stored as advised! In 1982 Royal Mail changed the format to fold out vertically, rather than horizontally, in a format that used approximately an A4 sheet of card, with stamps on a separate carrier. 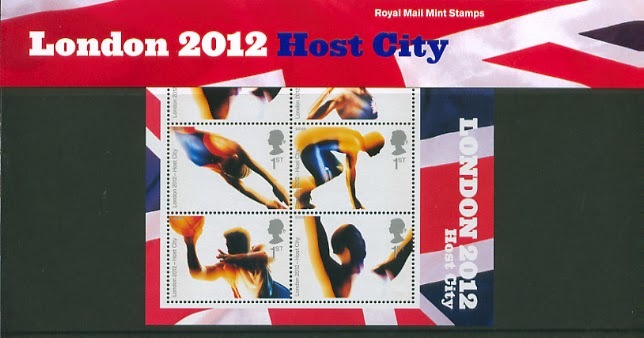 In 2004 there was a further change, when the plastic carrier was incorporated on one panel of the pack, often with important information printed behind the space for each stamp (something which was continued with the smaller packs produced for Faststamps). But to get the real benefit of the packs they must be unfolded, and to see the information behind the stamps, they must be removed! Some packs are now designed to be viewed in the opposite orientation, such as the motorcycles and stamp locomotives. But how much better they would be if they were A4 sheet designed to be kept as A4 sheets, unfolded, with space for the stamps, and with all the text visible and oriented the same direction. Then they would be collectable, in an album that could be opened, the stamps admired and the stories read. As they are, they are simply bought as collectables (or, sad to say, investments) and put away, and I suspect that a good number of the buyers never read the words or learn about their stamps. Correcting errors when people complain is not good enough; they should correct the processes which lead to the errors as well. But customers who don't even open them, they just put them in an album or box will never know whether they have collectable or damaged stamps! I mount the stamps from my presentation packs into a dedicated album with pre-printed pages and store the empty unfolded packs in an A4 show binder with transparent pages. Over time, this can develop into a mini-encyclopaedia of stamp issues and is far more practical than simply sticking away the packs in a box where the contents will never be seen. A word of warning about presentation packs. I suspect that a good number of buyers put their packs away in albums or boxes, as you say, but never actually take out the stamps they contain and examine them. Thinking that the stamps are 'protected' in such packs and are 'pristine' asz RM likes to say, many will find that they are in fact worthless. The modern packs are made up by machines which insert the stamps forcibly into the acetate strips. Take out a few stamps and look at them from the gummed side - many will show at least some degree of horizontal crumpling while others are almost like concertinas! I cannot believe Royal Mail reserves all its rubbish just for me! I have complained on a number of occasions and regularly send back the stamps to be exchanged (not for another pack which might be just as bad!) but nothing changes. If more collectors banded together to put pressure on RM, then they might take some action. I agree. I buy presentation packs because I like to read information abut the issue, but recently it seems that many stamps and even miniature sheets are crumpled. Since I'm not in the UK I can't send back the stamps every time, and I'm surprised that Royal Mail doesn't react to complains. I think the reason Royal Mail doesn't react to complaints is that over the years they have tried to reduce costs in packaging. Sending out miniature sheets in cards where the plastic doesn't cover the sheet completely leaving it open to rain or other marking. Prestige books don't have any protection at all, not even bagged anymore. Smilers sheets come without any cardboard stiffener. At the end of the day it is cheaper for them to replace items than provide better quality packing/packaging, after all they know they are not going to be used for postage so it's a win win situation. The Channel isles and Isle of Man produce attractive presentation packs with two punch holes on the left side to fit into a special binder,they can be easily opened to display the stamps,and always have an attractive cover.Much better than RMs in my opinion. I agree the Jersey presentation packs for the D-Day 70th put Royal Mail to shame and they are a lot easier to display. Bearing in mind the horrendous price of some packs now it would make sense for RM to please it's ever reducing captive market, the goose that lays the golden egg, so to speak! I agree, for years they have been too big to do anything with, other then keep them folded. Prior to that, although they were A4 size, part of the text was upside down if displayed flat. I can't think Royal Mail would change anything, especially if they had to spend money on large envelopes to keep them flat. If the packaging is anything like what the smilers sheets come in they may as well forget it. Also I think it is great that a book like this now exists - about time!